"People have asked me why I chose to be a dancer. I did not choose. ​​I was chosen to be a dancer, and with that, you live all your life." Chantry School’s full-time vocational Diploma students will present a stunning programme of work in their annual Summer Showcase. Our young dancers who will become our next generation of professional performers, will perform a varied programme that showcases the breadth and depth of their talent. The programme includes new contemporary and contemporary ballet works created especially for the Chantry students by UK and international choreographers Jenny Logan, Alexandra Harris, Shannon Parker, Rae Piper and Paul Chantry, as well as traditional Classical Ballet repertoire, Jazz and Musical Theatre dance pieces. The show will also include a special performance by Chantry's Associate students. Get your tickets to the Chantry School 2019 Summer Showcase! ​​MUSICAL THEATRE COMES TO CHANTRY SCHOOL - BOOK Y0UR PLACE NOW! Come and join us for a day of singing, dancing and acting, taught by International and West End choreographers and performers. This workshop is likely to sell out fast so to find out more and book, click on the link below. **SPOILER ALERT: During the day we will be talent scouting for dancers to join our BRAND NEW MUSICAL THEATRE ASSOCIATES! ​Join Chantry school for our 2019 Summer Intensives. 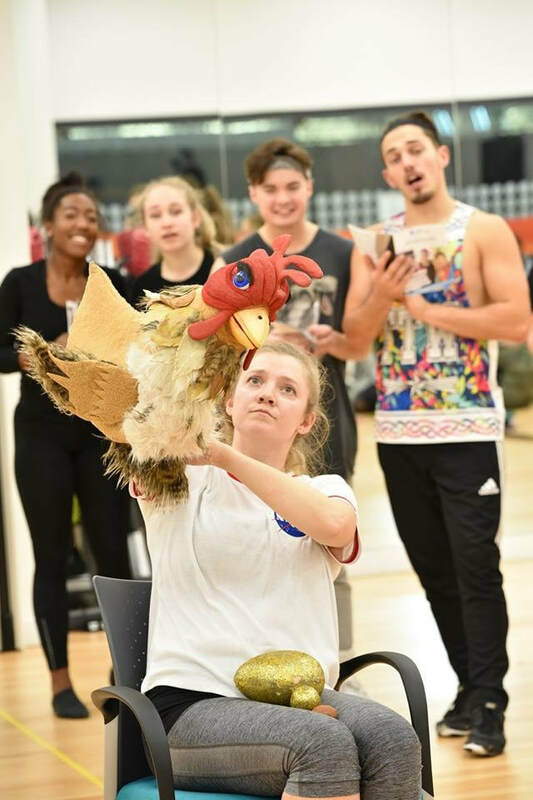 These popular courses are led by award-winning international teachers, West End and Royal Opera House choreographers and performers, Rae Piper & Paul Chantry (also co-Artistic Directors of Chantry Dance Company). The courses are aimed at pre-vocational and vocational level students who are keen to further their technique and artistry and develop as dance artists. Chantry Intensives leave students feeling motivated and full of positivity. Click here to find out about our Summer Intensives! ALICE - WONDERLAND THROUGH THE LOOKING GLASS. ​Our other 3rd year Diploma students will also be performing in the supporting ensemble. Take a look at our trailer below and see if you can spot our wonderful students! "ALICE - Wonderland Through the Looking Glass" trailer from Chantry Dance Company from Chantry Dance Company on Vimeo. ​ALONGSIDE DUNCAN JAMES FROM BLUE! 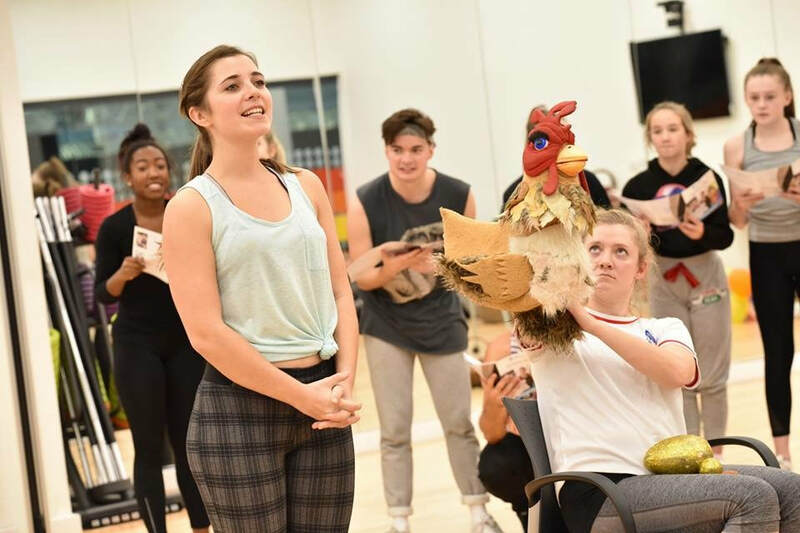 Earlier this year Lauren Coyle and Rachael Ridley, two of our 3 year diploma students, gained professional contracts to perform in this year's Derby Arena pantomime, Jack and the Beanstalk by Little Wolf Productions, choreographed by Rae and Paul. 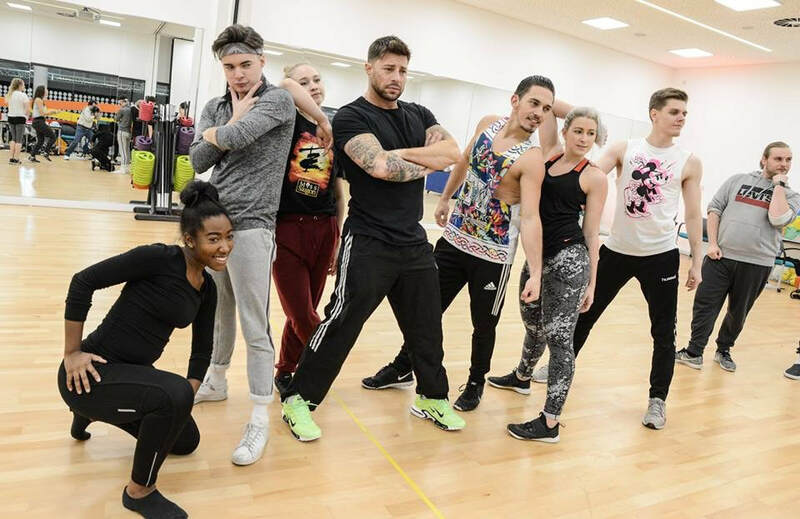 ​See if you can spot our girls in some of the rehearsal shots below! Considering a career in Dance? ​Unfortunately you have missed our open days for prospective 3 Year Diploma students. If you are considering applying for the 2019 intake please contact us to arrange for a private visit where you will be are given the opportunity to meet with our current students and the faculty, and also ask any questions you might have. ​It's a great way to learn more about the school and the full-time Diploma Course. If you'd like to hear more about Chantry Dance Company and Chantry School of Balletic and Contemporary Arts you can sign up below to receive our monthly newsletters. Chantry School of Contemporary & Balletic Arts has been awarded Recognised School status by the Council for Dance, Drama and Musical Theatre, and has been awarded the Council’s certificate of good professional practice. Schools awarded CDMT’s Recognised School Award demonstrate that their pre-vocational courses adhere to the standards demanded by the industry; standards designed to protect and safeguard students in their dance training. 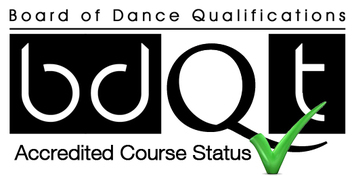 ​Chantry School's 3 Year Diploma Course in Contemporary & Balletic Arts is accredited by the BDQT (Board of Dance Qualifications and Training). This accreditation demonstrates that Chantry School's 3 year course adheres to the the standards demanded by the industry in all aspects of teaching, safeguarding and administration.